Adidas set the New Blood brief to challenge us to use the power of sport as a catalyst for change. 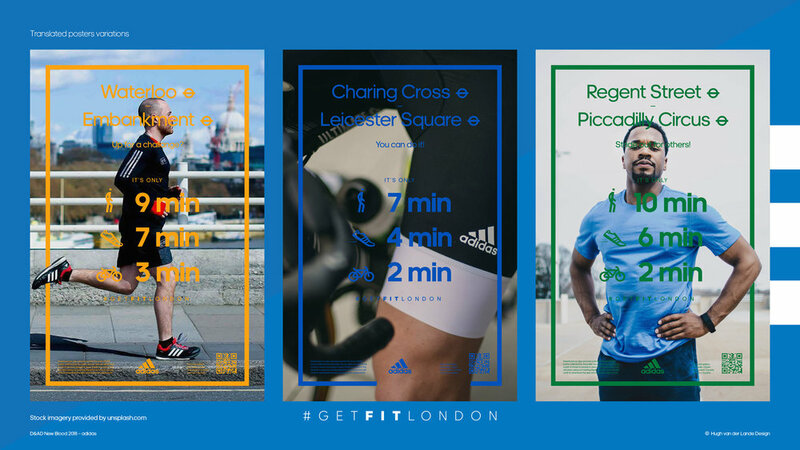 To make an innovative product, service, brand experience or campaign aimed at 17-25 year olds in any of adidas’ key cities. 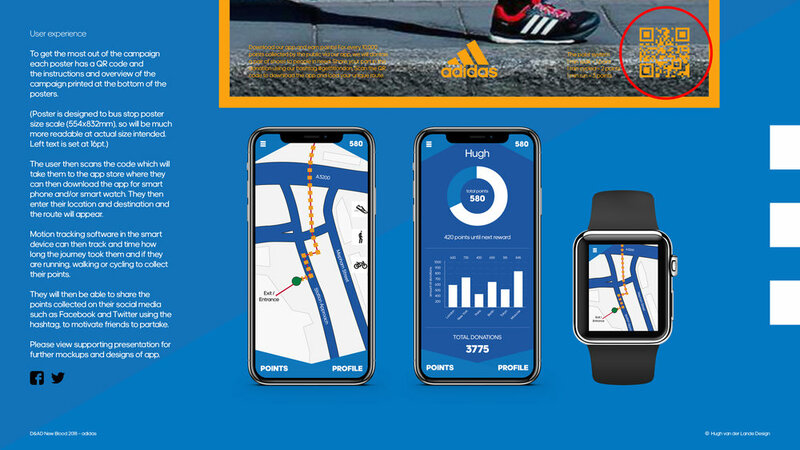 I made a campaigned designed to increase activity in cities around the world, by highlighting how close subway stations are to one another in adidas’ major cities. Accompanying app for smart phone and smart watch designed to direct and collect points for the user. Points are collected as a community and every 10,000 points collected, adidas donates a pair of shoes to someone in need. 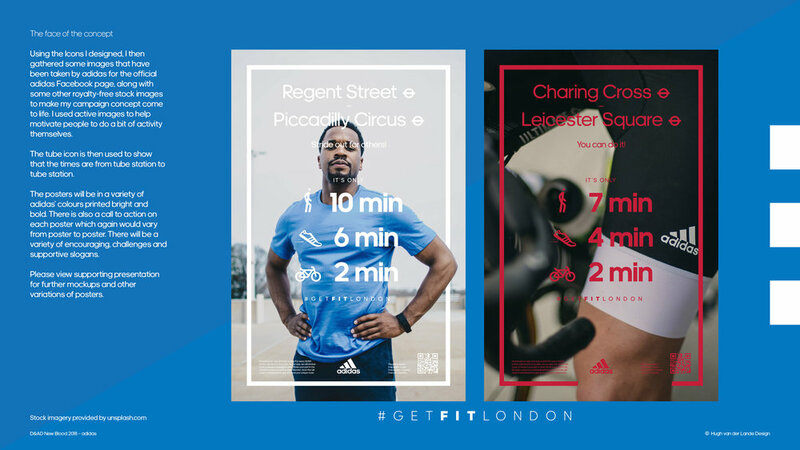 User can also collect points and get rewards for themselves and share their contribution on social media using their city hashtag #getfit*city*. Via the app they can also see how competing cities are earning points compared to their own. Supporting presentation, mostly consisting of further mockups and different translations for other adidas major cities.